It’s inevitable that what we chose to decorate or style our homes with changes over time, but rarely do we have the opportunity to directly look at a whole bunch of items we thought were fabulous and reassess several years later. 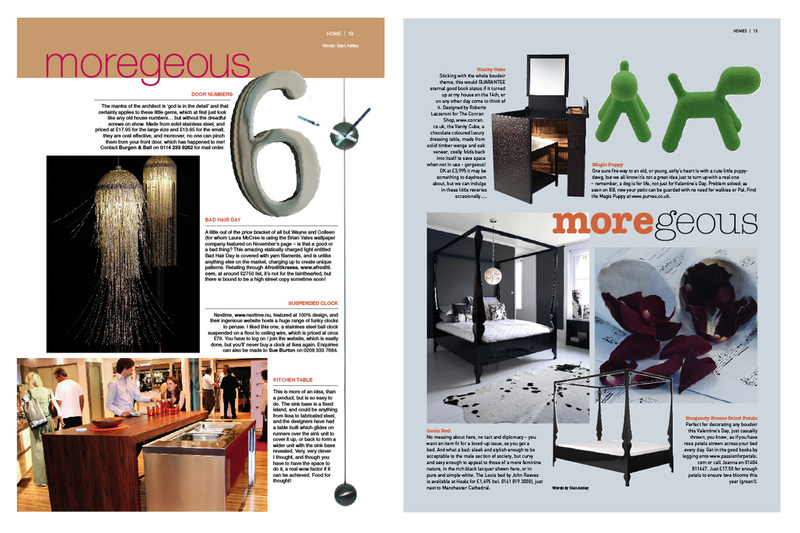 I was updating the blog Press page and dug out some articles written for the Didsbury Magazine in 2004-6 where I’d to pick items I considered were More than Gorgeous at the time. 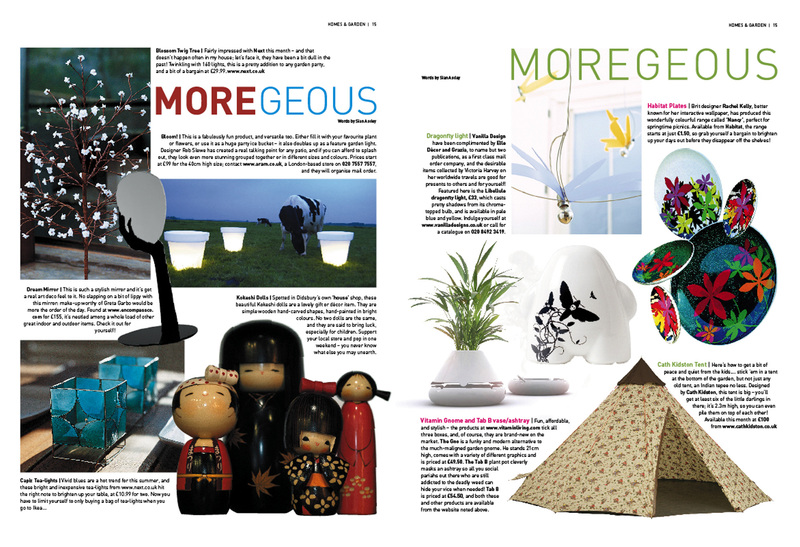 Surprisingly, most of them I still like and would happily have in my house – the Louis bed, Vitamin Design’s Gnome, the Bad Hair Day light and Handful of Plates to name just a few. Some were quite forward thinking and innovative, and general thinking is just catching up… the help our feathered friends Bird Ball, the space saving Vanity Cube and the Ectopia cardboard playhouses. Some are just kooky but but still rather wonderful, the Stark Gnome, the Rock & Roll bin and the Dress lights. A Moregeous May The Best House Win on ITV Jan 21st!